It would be great if this would be a pinned topic. Or if there could be one like it. Basically I am asking anybody who has designed an enclosure for 3D printing to share the design (or link) in this thread. I start, a simple bu functional enclosure for the Omega2/2+ mounted on a power dock, with a fan and a 2500mA battery. For what it's worth, check your tags so you can show up in a search easier on Thingverse. Here is a list of what is there right now on a link I found somewhere in the docs or somewhere. Just a thought. thanks for sharing this. i followed you on Thingiverse. when ill have time i would like to make a case for Onion+ArduinoCase. thanks, i added it to the group and edited the tags. 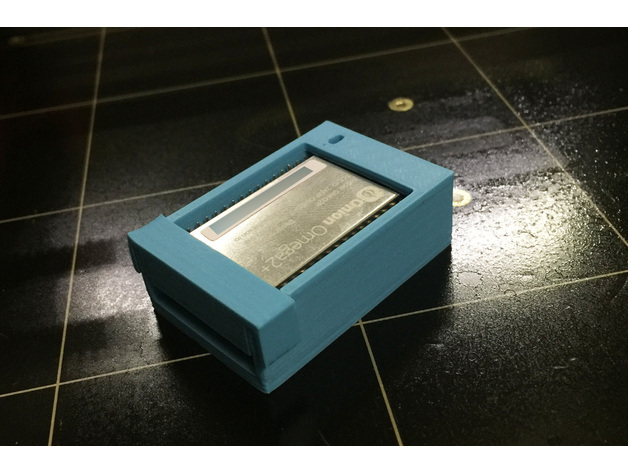 I am finishing to print a simple case for the mini dock. When it works fine I will share that as well. I'd love to get something that will fit the O2+, Power Dock w/ 1200 mah battery and the oled showing. 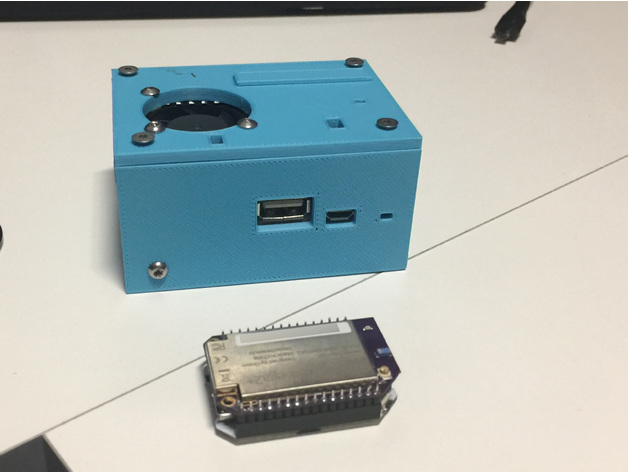 My case fits a 2500ma so it can be modified for the smaller battery, but I do not have any additional module since I will use all omega I have as web scrapers.I can share step files to be used as starting point.